After having our breakfast, we headed for our first destination in Mumbai that was the national gallery of modern art. We decided to travel through the local train as that was the easiest way to dodge the heavy traffics of Mumbai. We reached the gallery that was located in Colaba in southern Mumbai, and were excited to see some amazing art works that were exhibited in the gallery. 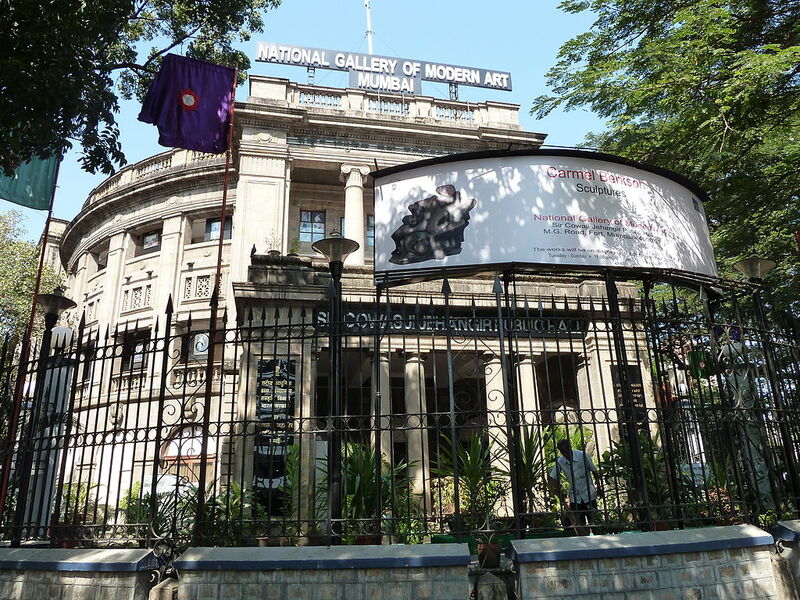 The National Gallery of Modern Art in Mumbai came into being in the year 1996 and was established with the intention to encourage modern trends in Indian art and culture. It remains open for public for a limited time period from 10 am to 5 pm and is closed on Mondays. The organization is recognized to have famous works of the artists from India as well as from various parts of the world. The organization has its branches spread over to Bangalore and Delhi. We entered the gallery to view such renowned art pieces. There was a ticket of Rs.10 each for Indian visitors. After taking the tickets, we entered the gallery and were mesmerized by the artwork exhibited inside. No doubt, this gallery is amongst the prominent art galleries in India. We were witnessing some of the best art pieces of numerous artists. The gallery possesses works of more than 14,000 renowned artists like Thomas Daniell, Rabindranath Tagore, Nandalal Bose, Gaganendranath Tagore, M.F. Hussain, and many more. There were also displayed work of Picasso and may Egyptian artifacts like mummies, statues etc. It was the first time we were witnessing mummies, and we were amazed by the technique that was used in those ancient times. Some artwork was even dated back to 1857. The gallery was a concrete venue initially and it was in the year 1954 that it got converted into a gallery and today, it is managed by the Department of Culture, Government of India.We came to know that the gallery conducts exhibition on a regular basis and displays best artwork of the world. Moreover, it also performs cultural exchange programs between different countries to provide a platform for talented artists all over the world. This gallery is undoubtedly one of its kinds in the country. This entry was posted in Arts, Attraction, Travel and tagged national gallery of modern art mumbai. Bookmark the permalink.